P & S Seamless Gutters, Inc. Comment: Gutters surrounding house need repair in certain areas. Comment: looks like wind damage east side of home gutter is twisted and damaged. nails pulled out of home the gutter was updated in Dec. 2018 with fine metal mesh to keep out leaves etc. . all of the east side and needs to be repared or replaced. Comment: My gutter downspout has come loose and fasteners are broken. Comment: Under 300 LF. 5" k seamless w/hangers no spikes, 9 outside miters, 3 inside,9 downspouts. 21 A elbows, 4 B, 4 end caps. White. Vero Beach Gutter Cleaning & Repair Services are rated 4.59 out of 5 based on 145 reviews of 6 pros. 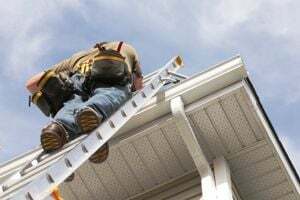 Not Looking for Gutters Contractors in Vero Beach, FL?